What girl could say “no” to a Vodka called Little Back Dress? Well, not us. Since we had no plans this Saturday, we ventured out to the liquor store, bought some new types of vodka and decided to start a vodka review series (a.k.a. get drunk by ourselves at 5 p.m.). Any good vodka connoisseur knows that the hardest part of trying all of the delicious, new vodkas out there is finding something equally delicious to mix with it – mixer should be low in calories because you’ll eat those later. 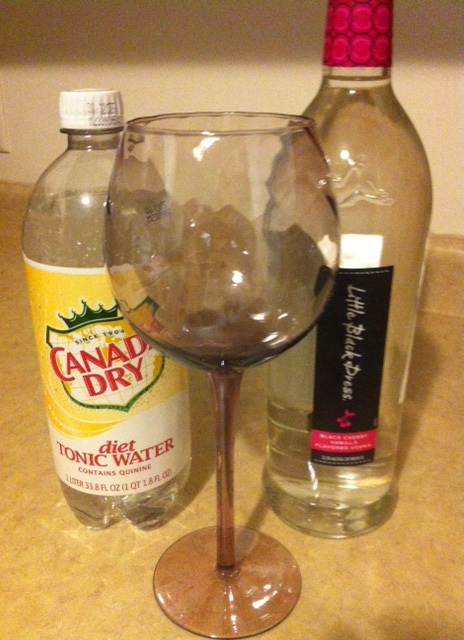 “NO TONIC WATER – GROSS. *When drinking with club soda, add a frozen cherry or three if you’re feeling fancy – dual purpose: looks fancy, keeps drink cool. After branching out and trying tonic water and club soda, we had to go back to our old favorite – Diet Coke – because the other ones were pretty bad. Go figure, it ended up being our favorite because, let’s be honest, we’ll never change. Note: Be sure tonic water & club soda are not shaken up – will spray entire kitchen and you with water/soda if it’s shaken up.